2017 will be remembered as a very strong year for gaming. The Nintendo Switch came out and planted itself firmly as the console to beat and the Playstation 4 brought a selection of software reaffirming Sony’s games first mentality; and Microsoft put out a nuclear reactor in console form in the stunningly beautiful Xbox One X. No matter where your allegiances lie whether it be to one company or to gaming as a whole everybody had something to be supremely proud of this year. Summing up my top 10 games of the year was a harrowing task as this year had some of this console generations best games released one on top of the other. There are multiple games that it pains me won’t make this list and even more than won’t make it as I just never had the time to play them. This is the internet however and games must be listed, so here is my list of the top 10 video games of 2017! I debated on adding Accounting+ to my list just because part of me worried it had a bit too much of that new game shine and this was a gut reaction. What I can say about Accounting+ is that at no point during my time with the game was I not deep belly laughing at the absurd situations I found myself in. Accounting+ was some of the most genuine fun that I’d had with a video game in 2017. 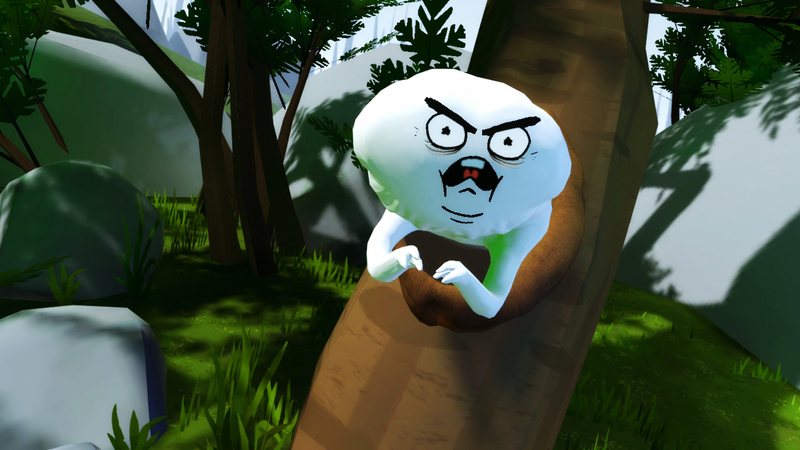 The writing is top notch, the interactions in VR were satisfying and when it all came full circle all I wanted to do was put the headset back on and find this mysterious “Cow Level” that I know is hidden somewhere in that world. Bonus points for giving me the trophy for making a 3 pointer when I absolutely could not make that damn ball. 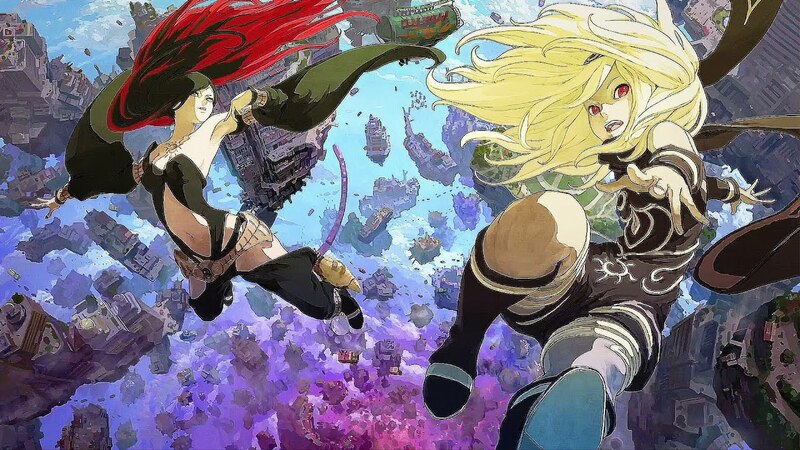 Gravity Rush was one of my favorite games on the Playstation Vita (rest in peace good friend), so when the announcement that the sequel was making its way to US shores I was very excited. There were many unanswered questions at the end of the first game that I wanted wrapped up. Gravity Rush 2 gave me those answers and took me on a whimsical trip through Jirga Para Lhao and back to my beloved Hekseville. With the added power of the Playstation 4 I was able to see the world in such greater detail as I flew around the city fighting Nevi. I certainly hope this isn’t the end of Kat’s story as there are small plot threads that could still be taken in new and interesting directions. My first play through of Resident Evil 7 was short lived and I dropped the game as it didn’t grip me. I enjoyed the atmosphere but something about the game just never really pulled me in. That was the case until I bought my Playstation VR. This game was made to be played on the Playstation VR and it shows. 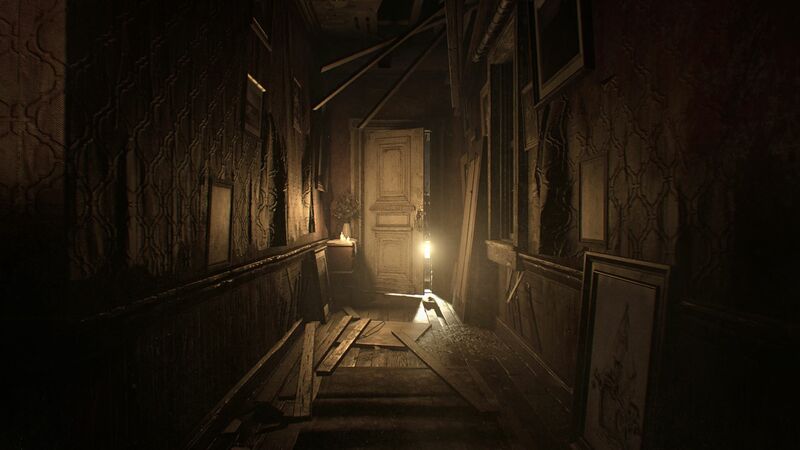 When the weight of the murky Louisiana swamps and the claustrophobia of the small corridors of the Baker’s house are more than just a picture on a screen but a feeling that pulls at you, the game took such a huge jump for me. Despite the slightly weaker third act, the opening hour of Resident Evil 7 draws you in and does not allow you walk away (unless you scare easily and run to save points and quit like I do). Capcom took a storied franchise that has spun its wheels for far too long and made it relevant and I can’t wait to see what they do with the franchise going forward. My love of side scrolling shooters is no secret. I have an annual tradition of going back and playing Mega Man 2 and 3 every year. So when Studio MDHR showcased their fantastic Cuphead back in 2014 I was all in and just needed the game in my hands. 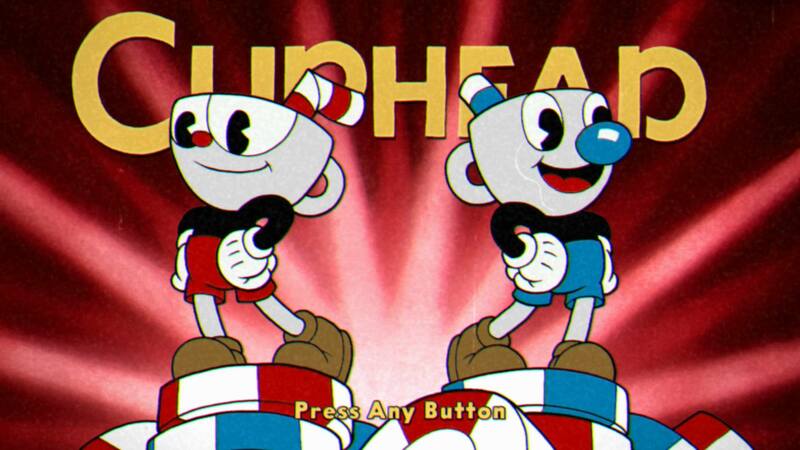 While I would end up waiting another 3 years get my hands on it what a joy it was when I finally sat down with Cuphead. The 1930’s aesthetic is fully realized both in animation and sound. The gameplay is tight and has that same loop that draws people to the Dark Souls franchise in throwing yourself at large bosses until you learn patterns and eventually prevail. Cuphead was clearly a labor of love and deserves to be a showcase game in anybody’s library. Nintendo has made some sort of horrible deal with an evil deity to have the unique ability to distill fun in such a beautiful handcrafted way. Not an inch of the game world presented in Super Mario Odyssey is wasted. I found myself continually delighted at every turn uncovering secret moons and finding purple coins while taking in the beautiful worlds and wonderful music. The moons, which initially put me off by how easy it was to find, ended up surprising me how it had the ability to make a short play session feel meaningful. Giving us the same Mario control scheme on top of the new addition of Cappy made for interesting gameplay choices. Mario is at his best when he is easy to control but difficult to master. The later challenges tasking you with running through the complex levels against AI opponents pushed my ability and made me better at controlling my favorite Italian Plumber. Nintendo created a Mario game that will stand the test of time and sit among the greats including 64 and Galaxy. 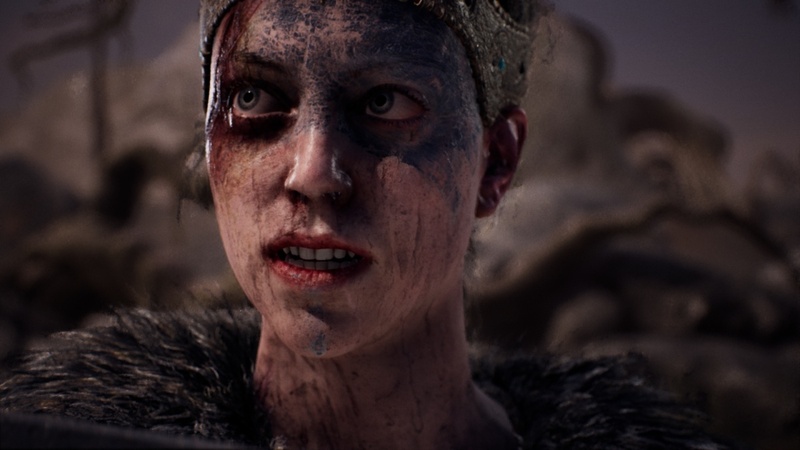 Few games drew such a deep emotional response from me in 2017 as Hellblade. This is a game I’ve had my eyes on since its announcement in 2014 at Gamescom. I’ve always held Ninja Theory in high regard for their games and seeing the first trailers coming out with the magnificent performance of actor Melina Jeurgens immediately demanded my attention. Nothing could have prepared me for the very real portrayal of mental illness. Playing this game as intended with headphones made the haunting voices continually feeding me both helpful and inaccurate information confused me in the way the game intended and I applaud it for that. This game made a statement that games as a medium is a powerful way to not only witness experiences but in some small way to live them. The gameplay was solid using Souls like mechanics to fight a small number of enemies felt just right in this context. There are game experiences such as Journey that will stick with me for a long time to come and Hellblade is one such experience I will never forget. What could I possibly say about Breath of the Wild that hasn’t already been said? This is a game that has taken a long and storied tradition with a very hard and fast set of rules and completely abandoned them to great effect. This game is easily the most bold choice of anything on this list as Nintendo could have made this move and alienated fans. What we got instead was one of the best open world experiences I’ve ever gotten to play. Breath of the Wild made smart choices with it’s systems and how you interact with them and in turn how they interact with the world. Nine months after its release people are coming up with new and fun ways to stretch those rules in fun and interesting ways. Breath of the Wild lives on its serene and often quiet nature, which for a big time story buff like myself can be a bit off putting. What story does exist however is very interesting and the environmental storytelling often hooked me in the same way games like The Last of Us or Dark Souls always do. 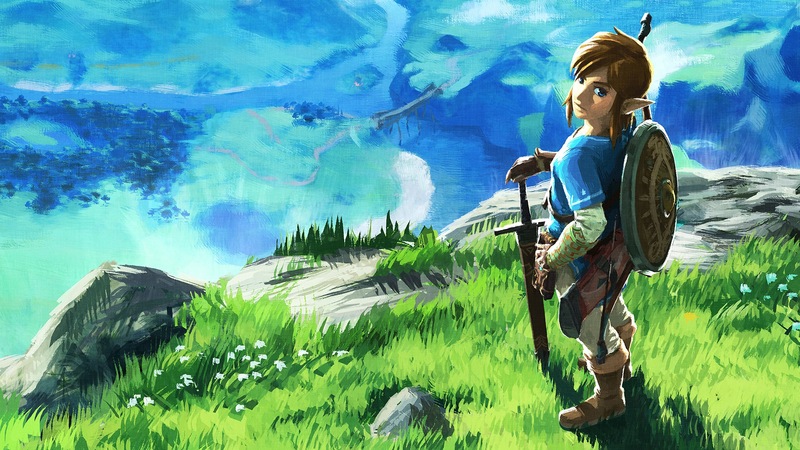 Breath of the Wild is a testament to Nintendo’s willingness to innovate on its storied franchises and gives me hope that they will continue to do interesting things with not only Zelda but Metroid and its other franchises in the future. The end of the world does not have to be a nuclear wasteland, this was the idea that Horizon: Zero Dawn was able to perfect in 2017. The world recaptured by nature was a brilliant backdrop to the mechanical creatures that inhabited the landscape. 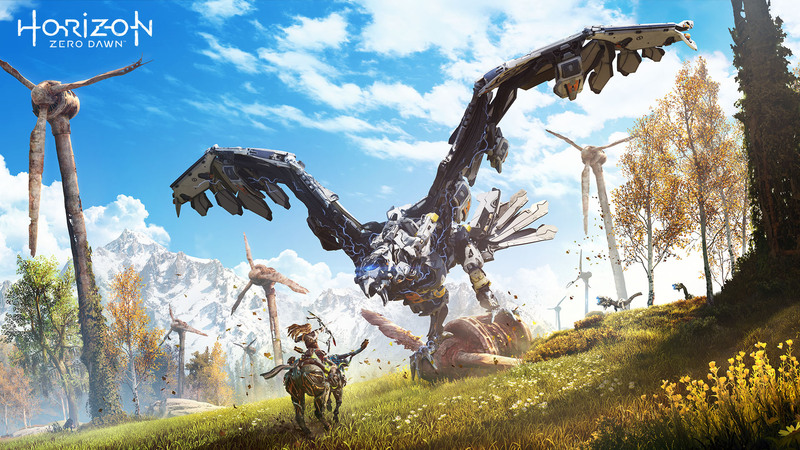 Horizon is a game that feels well thought out and realized, the protagonist Aloy’s adventure stayed interesting for it’s near 40 hour run and ended strongly yet giving us more to look forward to in the future. What has to be said about Horizon is how beautiful it is to see in motion, I’ve never been one to spend much time with a photo mode but the quality of the visuals struck me in such a way that I kept stopping to just watch. The primary gameplay loop was mostly iterative of other great open world games but the combat was interesting and intense. When you had the ability to prepare for a combat, setting traps and luring enemies into those traps was always satisfying and when your best laid plans fell apart the frenetic pace kept me short of breath until the end. Never in my life have I played a game that was so willing to bend its own rules to comply with it’s narrative and to such powerful effect. NieR: Automata could have just told the story in a traditional setting and used some of its unique ideas as plot points to drive it’s ideas home. Instead, it turned them into gameplay mechanics to give you the feeling of what being an android in this world means. In the menus you can equip your character 2B with chips to increase her abilities. Make the poor choice to remove that OS chip and she immediately dies. Remove her health bar chip and you can no longer see how much health she has and the options go on and on. Even later in the game when the save point system completely changes from a respawn point to a hard save system for reasons that comply 100% with the story, NieR takes its fiction deadly serious. The music is another strong point for NieR: Automata, with songs that range from children’s choirs to full on opera, the soundtrack stays interesting throughout the adventure and ranks among my favorite in the last 10 years. There’s so many great things that can be said about the nature of the narrative from the way that the story is delivered to the underlying message surrounding it all and whether or not anything really matters. NieR: Automata shows us the creative mind of one of gaming’s most interesting minds, Yoko Taro, and leaves me wanting so much more. Someone please pay this man to make the next Final Fantasy game and I will be 100% on board. My pick for game of the year won’t come as a surprise from anybody that knows me, I’ve been a JRPG fan for many years. More recently however I don’t know if I’ve started growing out of JRPG’s or if the quality of the genre has gotten stifled and overdone, but I haven’t much gotten into the genre that introduced me to games as a medium. One of the long running franchises that proves that turn based combat and wonderful stories from some of Japan’s most creative minds is alive and well, has been the Persona series. Persona 4 Golden was the biggest reason to even own a Playstation Vita (there are many others but this was the best reason). So the bar for Persona 5 was set so high by my expectations and to have the game come to the west and completely shatter what I wanted was exhilarating. Persona 5 takes the same gameplay model that the series has become known for, life sim by day and dungeon crawler by night and injects an incredible amount of style and in your face attitude into the game. Menus whiz by like you’re reading a comic book, and victory screens aren’t some static number block but the main character striking a pose and running off to his next tussle. Persona 5’s style bleeds over into its music and narrative as well. With the J-Pop soundtrack combined with killer vocals and more melodic themes I couldn’t get these songs out of my head for months afterwards. The narrative also captures the feeling many millennials feel, corrupt and bloated adults who have rigged the system to work for them getting what’s coming to them. By stealing their hearts, the Phantom Thieves make these corrupt adults incriminate themselves and receive true justice. Persona is a wonderful game and deserves every ounce of praise it gets and even now after having finished this 100 hour JRPG, I think over Christmas break I will go back and meet up with my old friends from Shujin Academy once more.